This guide will help you install SJ Filter for K2 step by step. In your Administrator page, go to Extensions -> Extension Manager. 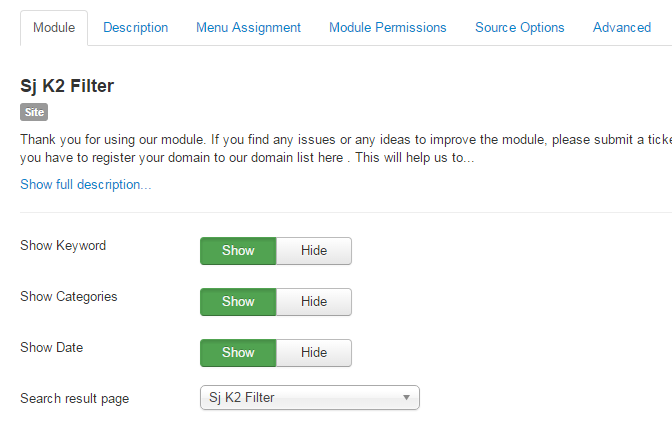 In this page, click “Choose file”, select module package. Show Keyword – Allow to show keyword or not. Show Categories – Allow to Show Categories or Not. Show Date – Allow to show/hide Date of Field. Search result page – Allow to select a menu item to display search result. Category filter – Allow to choose type of Category filter: All/Select. Select one or more categories – Allow to select one or more categories for which you want to filter an items list. Show sub categorries – Allow to fetch items from children categories or Not. 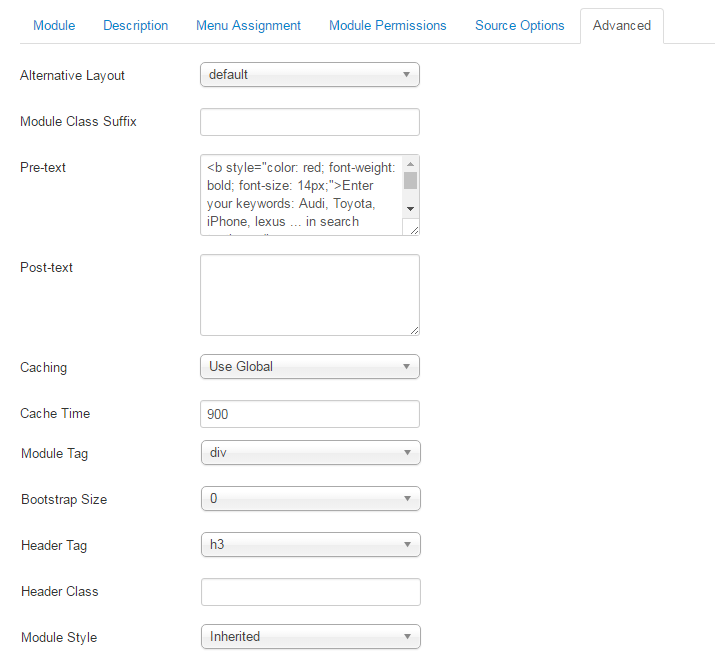 Caching – Select whether to cache the content of this module. Cache Time – The time in seconds before the module is recached.